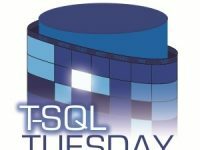 This month’s T-SQL Tuesday is being hosted by Andy Yun (t | b). 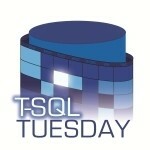 T-SQL Tuesday (#TSQL2SDAY) is a blog party founded by Adam Machanic (t | b). Each month a member of the community hosts the party and selects the topic for us to write about. This month’s topic is growing new speakers. It is an opportunity for experienced speakers to pass down some lessons learned or advice to the #sqlnewspeakers. It is also an opportunity for those who have not spoken to begin walking down that path by writing about their plans. Giving an hour-long presentation can be scary. For some, just the idea of speaking in front of a crowd is nerve wrecking. It is a good idea to start small with a short lightning talk or maybe compete in a speaker idol. If you are ready to move onto a regular session (usually 60-75 minutes) then this post is for you. When I started speaking I had a few concerns which ruled my mental state. Do I know the topic well enough to answer questions? Will I look stupid if I cannot answer a question? What if I say something that is wrong? Do I have enough content to fill the time slot? Will I overrun and have to cut my session short? These are all valid concerns but it is quite easy to prepare for success. The first piece of advice I will give is to speak about what you already know. It is best to have real world experience with it and even better if you have used this knowledge in a production environment or in code that made it to a production environment. New speakers should not concern themselves with what is popular or trendy. Everyone has their own perspective to give. Do not worry about how many other speakers have spoken on the same topic already. Do not worry about what technical level you want to speak at either. There is demand for all levels. Beginner topics have a wide demographic and higher level topics have people who are excited to learn more. Knowing the topic well in advance will help prevent mistakes. Also, you need to fact check during the planning phase of the presentation. I like to put references in the notes section of my PowerPoint for each slide. This helps you fill in any gaps in your knowledge as well as serve as a challenge to your own assumptions. When preparing you have the luxury of time. Putting in the hours to prepare will pay off. During the session you are going to be asked questions and there is bound to be questions that you are not certain of. The only speakers that ever look bad for not answering questions are the speakers who try to guess. Depending upon how much information you have to answer the question you can go down one of two routes. The first route is reserved for when you have no confidence in your ability to answer. In this situation simply say that you do not know. It is also helpful to write a note about the question and tell the person inquiring when you will get back to them with the answer. This can be something that you two look up right after the session, a blog post that you write on the topic the following month, or a more extended conversation via email. The easiest way to never be wrong is to admit when you do not know. The second route is to partly answer the question. For example, “I had a situation where x, y, and z happened. It is not exactly like your situation but I would imagine that it works in a similar fashion. If I were you I would test it like this.” This route allows for you to offer value while acknowledging that the answer is not complete or that the information you are giving is uncertain. This can help them research and test down the correct path even though you were unable to hand them the solution off of the top of your head. A great way to build content for a presentation is to blog. Depending upon whether you write 500 word posts or 1500 word posts, you can either write one detailed post on your topic or plan out a 2-3 post blog series. When it comes to the presentation you won’t be reading from a script but writing out the message that you want to convey will help you build a flow to be used more naturally during a presentation. Whether you write the blog first or not, you will definitely need to start with an outline of your presentation. In the outline you should include introduction and housekeeping items along with the demonstrations that you intend to show. As part of the outline I also recommend finding all of your references. Reading about your topic will help you get ideas on what should be included and build out sections which may not be as strong as they could be. Next, build your demonstrations. I find that this part takes the longest amount of time. The process of building your demos will further refine your topic and make sure that you can support your message with proof through demonstration. Do your best to make the demos relate back to real world scenarios. By this point you will have a mature idea of all the content that you want to present. It is at that point where you should move to PowerPoint and begin building your slide deck. It is important to know that the slides are there to augment what you are saying. They are not there to present what you are saying in text. Your slide should not include all the information that you plan to speak to. Keeping the slides limited also helps when you give a less than perfect presentation. If you forget a bullet point, no one will notice. If you mention a bullet point out-of-order, no one will notice. Try to make your slides be a form of general guidance and not a strict script. Once you think that you are complete, time it. You will need to practice your presentation a few times before giving it for the first time. I recommend doing it by yourself once and then including friends or family members in the audience. If you are anything like me you will realize that your presentation now takes over 2 hours to give and requires a lot of trimming. If you are instead short on content, think about questions before you add more. Questions are extremely variable. You may get tons of questions, just a few, or none at all. The challenging part is building a presentation which is flexible enough to account for this. There are two different tactics that I have used to make my presentations more flexible. One method is to embrace minimalist slides. If your slides only present a concept for you to discuss, you have complete control over how long you speak on that concept. In this situation I would build a session which can be presented in 50-60 minutes. 50 being for regular sessions which are 60 minutes and the 60 minutes for extended sessions of 75 minutes. Note that you will likely speak faster in public than you will practicing at home. This gives you 10-15 minutes of buffer time to answer questions. If you end up not having a lot of questions no one will be the wiser because you can simply elaborate on your slides more than you had planned. When using a clock during the presentation you can gauge the pace and notice that you will end short. In that case you just keep talking. This is one area where knowing your topic well is very important. You are dynamically adjusting the depth of your presentation to fit the time. Another method is to over produce content. Have enough content to fill a 75 minute session. With all this content, you will need to strategically sort your slides. There will need to be bonus information at the end which you do not advertise as part of the goals in the beginning. 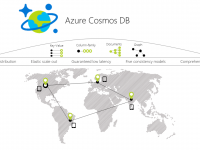 This can also take the form of a few interesting demos which are on-topic but not important to be covered. With this method, you simply speak at your pace without concern for running out of things to say. If lots of questions come up you just talk until it is almost time to end. I find it important to warn the audience that there is bonus content at the end which we will get to, if there is time. Giving this warning prevents the audience from believing that you failed to complete your presentation. Following this advice will help you build out your content. An hour may seem like a lot but I think that you will find it easier than you expect. The last piece of advice I will give is to have someone experienced review your session before you give it. Many speakers in this month’s blog party have already volunteered to help new speakers and I too volunteer to help. You should be sending your topic, title, and outline before you put too many hours in. Once that is tweaked, then send the PowerPoint and all demos along for peer review as well. Even experienced speakers know the value of peer reviews.